On June 23, 2009 I made my last business trip in a career with many of them. Arriving in Chicago on the corporate aircraft, we drove to the Loop to explain the account transition precipitated by my retirement to our largest customer. The meeting took place at their corporate office in the Wrigley Building. We could see the recently completed Trump Tower Chicago through the windows. It had become time to change the skyline of my life. I had taken to dozing off during staff meetings and lost interest in getting along with the other members of the management team. It was time to make my exit. I hoped to do so with some measure of grace and didn’t know what would be next. After years of experimentation, volunteering, and a portfolio of part-time and temporary jobs, I have begun to write in earnest, and intend to make something more than 500-1,000 word posts for publication in newspapers, on blogs, and in other outlets. The first subject will be a memoir about the evolution of my understanding of local food over the last six years. The goal is a 25,000-word essay that can be combined with other short pieces into a self-published book. Book sales will become a way for people to contribute financially to my work at events. As I embark on this adventure Vachel Lindsay is on my mind. His journey did not end well. I hope to do better. Equipped with a reasonably sound memory, a sheaf of recent writing on food, labor, farming, gardening, cooking and agriculture, I’m ready. At a thousand words a day, the essay should be complete by year’s end. Hopefully people will find it unique and worth reading. If I’m lucky, it will be a contribution toward expanding the local food movement. 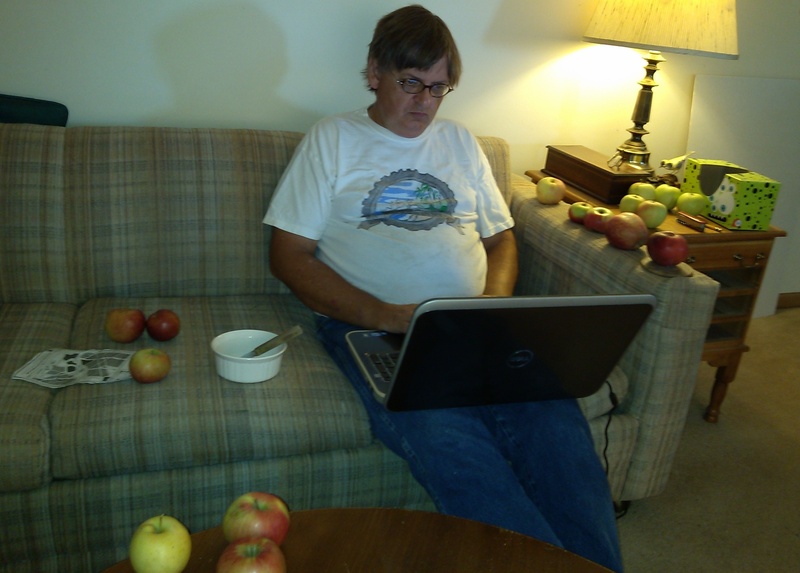 This entry was posted in Local Food, Writing and tagged local food, worklife, Writing. Bookmark the permalink.